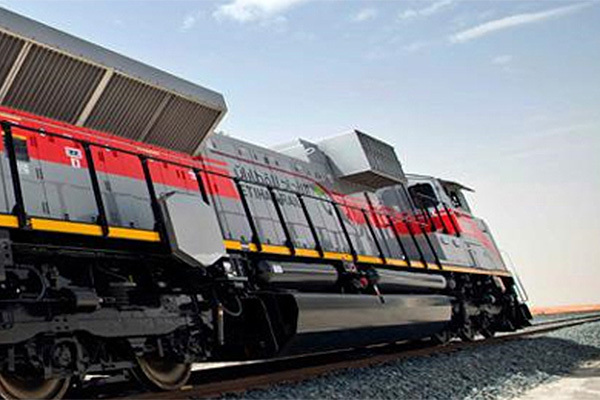 Etihad Rail DB, a joint venture between Etihad Rail, the developer of the UAE’s national railway network and DB Cargo, a key operator of Stage One of the railway network, said it has achieved a major milestone by safely running its 1,000th train from the gas fields of Shah and Habshan to the port of Ruwais. The milestone, which was achieved on January 20, is significant for the company which was set up in 2013 to manage the operations of the Etihad Rail network. Commercial operations officially commenced in January 2016, with Etihad Rail DB responsible for the transport of more than 20,000 tonnes of granulated sulphur daily from the gas fields of Shah and Habshan to the port of Ruwais, where sulphur is exported. Commenting on the achievement, AbdulMuhsen Younus, the chairman, said: "Since inception, Etihad Rail DB has been committed to providing its main client, Adnoc, with a safe, reliable and timely service, and for setting the bench mark as the region’s leading heavy rail operator." "We are extremely proud to have run our 1,000th train, and to share this remarkable achievement with Etihad Rail, Adnoc, our stakeholders and employees," stated Younus. "To date, we have transported more than 10 million tonnes of sulphur in over 1 million hours worked with zero lost time injury (LTI). This is a major achievement for a relatively young company like ours, and a strong testament to our culture of safety and excellence," he added. Omar Al Suwaidi, Adnoc’s gas management director, said: "Having a reliable rail network has enabled Adnoc to transport its large quantities of sulphur to Ruwais in an efficient manner. This has greatly enhanced our logistical capability and Adnoc’s position as the world’s largest exporter of sulphur."